What a difference a week makes. Last Sunday, much of the country awoke to the horrible news of a mass shooting — the worst in U.S. history — that targeted a gay nightclub in Orlando and left 49 people dead. 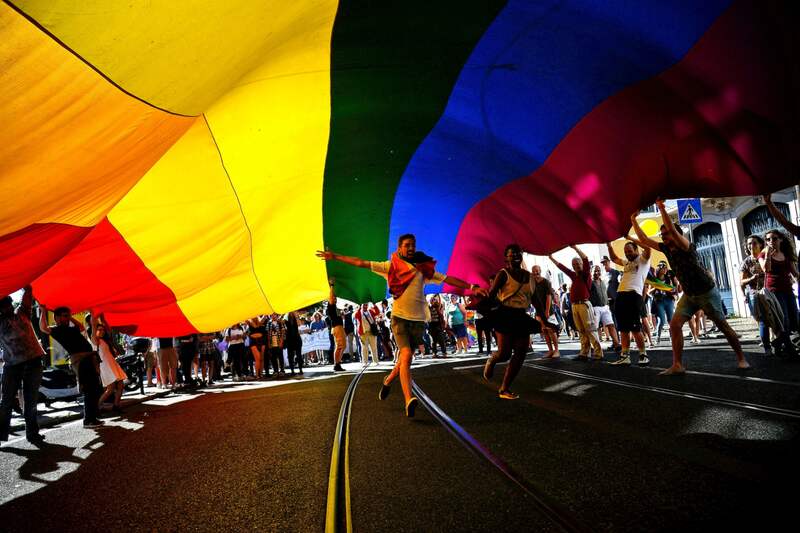 This weekend, somber mourning turned to festive celebration, as people across the country celebrated Pride Month, which might have meant just a little bit more this year thanks to the recent tragedy. On Friday, San Francisco raised the pride flag in front of City Hall, although the city's pride festival and parade won't happen until next weekend. In Arkansas, 2,000 people marched through Fayetteville for the region's 10th annual pride parade, while another several thousand attended to watch. The celebrations even spread beyond American borders, as crowds gathered in Toronto to celebrate Pride Month and to honor the Orlando shooting victims. Orlando won't hold its pride celebration until October as originally planned, but communities nearby have arranged special celebrations of their own in the wake of last week's shooting. St. Pete Pride, in St. Petersburg, Florida, is working with Come Out With Pride Orlando for a tribute parade next weekend. Meanwhile, professional baseball's Tampa Bay Rays dedicated Friday's home game to the Orlando victims, holding a themed Pride Night and drawing the largest home-game crowd of its season. Clearly, cities big and small threw some massive celebrations in honor of pride over the weekend. In many cities, security ramped up, likely as a result of the Orlando shooting a week ago. Other symbols of the Orlando shooting were present in a much more festive way, as pride-goers refused to live in fear and banded together as allies.